This book is one of the most useful tools any writer, or would-be writer, will need. It's all well and good wanting to write a book, but one needs to be able to get the interest of a publisher (if you aren't planning on working with a literary agent) so that your book will end up on the bookshelves around the world. As many may wrongly believe, it's not just a case of dropping a potential publisher a line, telling them about the book you want to write on such a subject, and would they be interested in publishing it. They get zillions of similar letters on a daily basis. If yours stands out from the rest, then it has a better-than-average chance of being read. Of course, having the best-written letter doesn't mean your book is worthy of being accepted! 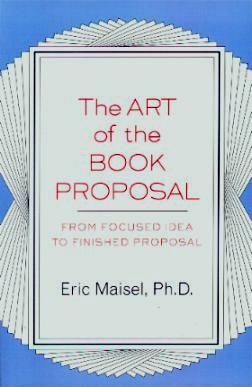 Author Eric Maisel, has geared this book predominantly towards those wanting to write nonfiction. Most writers go through the same things like becoming blocked, self-doubt that they can do it, procrastination, laziness, wandering minds, and the list goes on. So, don't feel you can't do it - so many before you had it much more difficult - just having computers nowadays speeds up the writing process enormously, leaving you ample time to formulate your thoughts and ideas. The book is broken up into 12 chapters, each one full of sound advice to help you over obstacles, aimed at helping us "writers", plus some exercises for the mind which are really helpful. It's imperative that new writers be informed of the dos and don'ts in the publishing world - if they want to make it, that is. Conclusion - Constructive and useful advice. Very informative.